We are excited to have the opportunity to provide a grill for your outdoor living project. 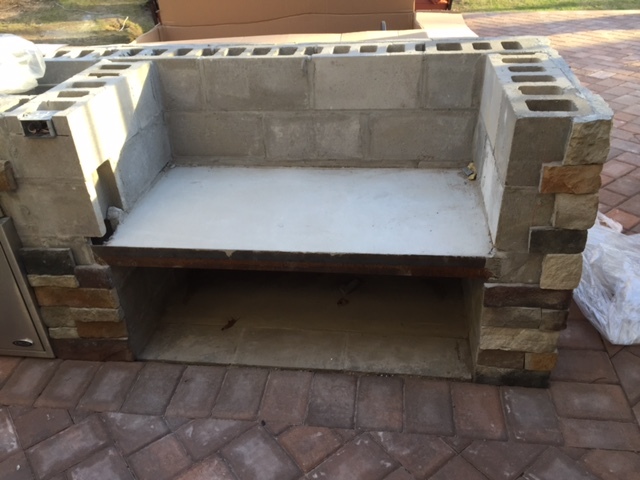 With respect to your project and grill installation, we highly recommend you consult an insured, local contractor, designer or mason experienced in fabricating outdoor kitchen bases and familiar with the local fire code and permits in your area. To assist in this area we are listing contractors, designers and suppliers who have experience with installing parrilla style grills and are familiar with our grill models. Suppliers with an ** next to their name have access to a Gaucho Grills demo grill in their showroom. Please keep in mind that most Gaucho Grills are built to order, often with many custom features. Suppliers listed below will be happy to work with you to build the base you need and install your grill, but the grill will have to be ordered through Gaucho Grills directly.